Radon is an odorless, invisible gas that naturally occurs from the breakdown of uranium found in water, rock, and soil. The gas can seep into a home through the floorboards and foundation. Because of the difficult in which it is detected, homeowners can go for a prolonged period of time before ever noticing. However, this is dangerous. 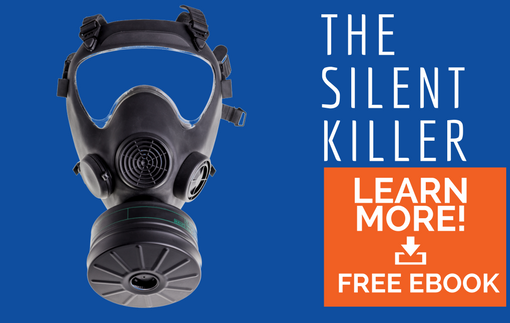 According to the United States Environmental Protection Agency (EPA) and Surgeon General, radon is the second major cause of lung cancer and kills almost 20,000 people a year. Given the serious nature of the gas, it is important that you protect your home and property. The EPA suggests homes with radon levels higher than 4.0 pCi/L must be treated immediately. The longer you wait the more risk you face. At AdvantaClean, our highly trained specialists provide radon mitigation services that will help you breathe easier. Because of the sensitive nature of the situation, we work quickly and efficiently to get the job done right the first time around. Call us at (877) 800-2382 for a Radon Mitigation Estimate! Our radon specialists can conduct accurate tests to detect the radon level in a property. If the test reads higher than 4.0 pCi/L, than we can help you mitigate the gas exposure. Ventilation – Whether you have high levels of radon or it’s as low as 2.0 pCi/L, you can help regulate the amount you inhale by properly ventilating your home. Whether by opening a door or window, allowing fresh air in can help reduce the potency of the radioactive gas. Home Pressurization– Pressurization is a method where fans blow air from the lower part of your home (i.e. the basement) to the higher levels (i.e. the upstairs). The pressure from the fans creates a vacuum that prevents the radon gas from entering the home. Home Depressurization – Depressurization helps prevent radon gas from seeping into the home. Our contractors remove the gas, so when the house is sealed, no gas gets in. This process is usually conducted beneath the house’s slab. Sealing – Sealing the house is a popular way of preventing radon from entering the property. After performing pressurization and depressurization to remove the existing radon gas inside the house, we seal all the cracks and openings in your walls and foundation to prevent the gas from coming in. If you are looking for radon mitigation services, turn to the fully trained specialists at AdvantaClean. We understand the urgency of handling radon gasses, which is why we work quickly and efficiently to protect your home. Because radon is the second leading cause of lung cancer, coming behind smoking, it is important to not wait. Our team carefully inspects your home before providing customized solutions.